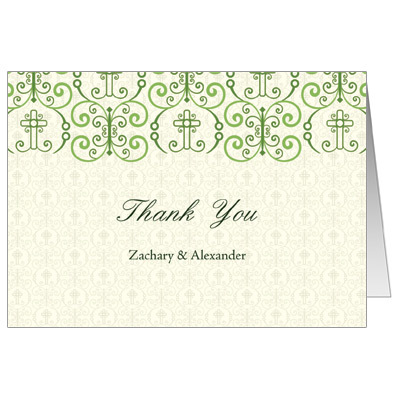 Shades of green and light beige look sophisticated yet youthful on this Christening thank you card. An ornate pattern with crosses decorates the top, with deep forest green text below. Folded card measures 5x3.5.